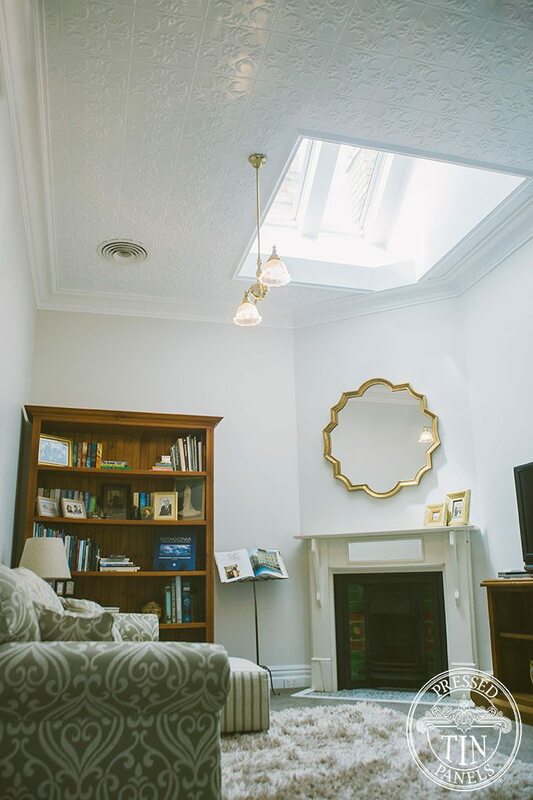 Lovely, local customers Pam and Peter purchased an old house at auction and so began the renovations. 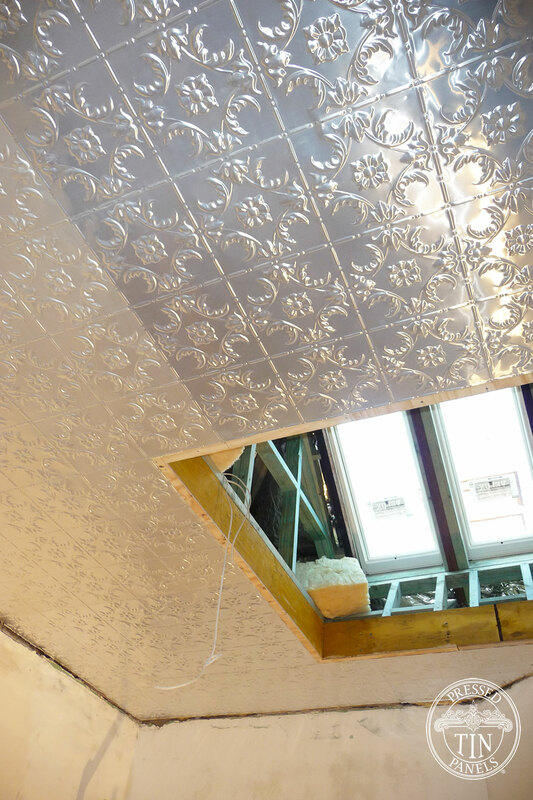 Upon removing old gyprock from one ceiling they found some original (in material and name) pressed metal underneath. 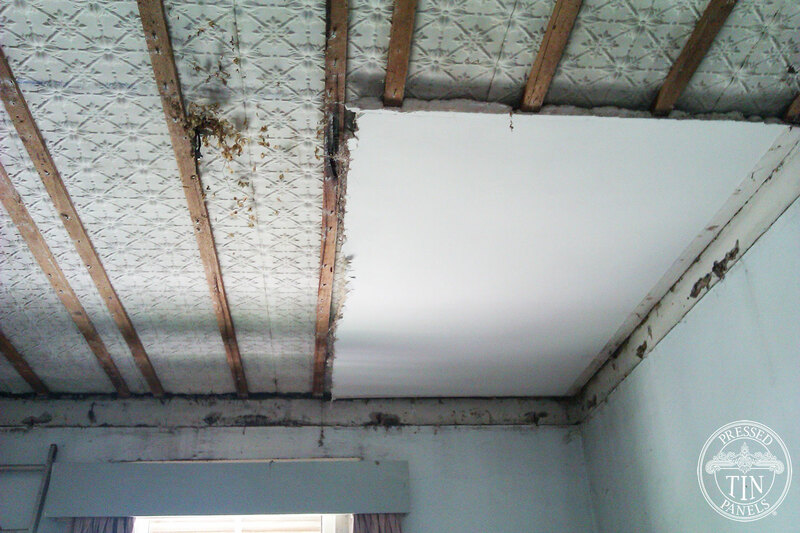 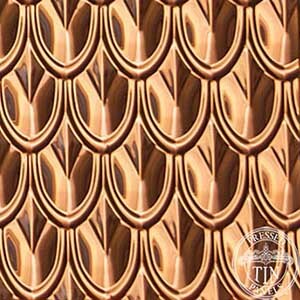 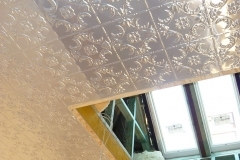 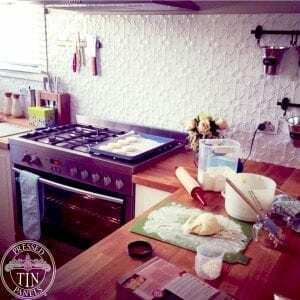 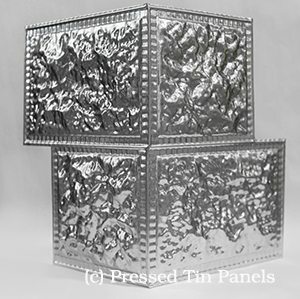 They proceeded to replace and install our Pressed Tin Panels® products on the ceilings of 4 rooms in their house. 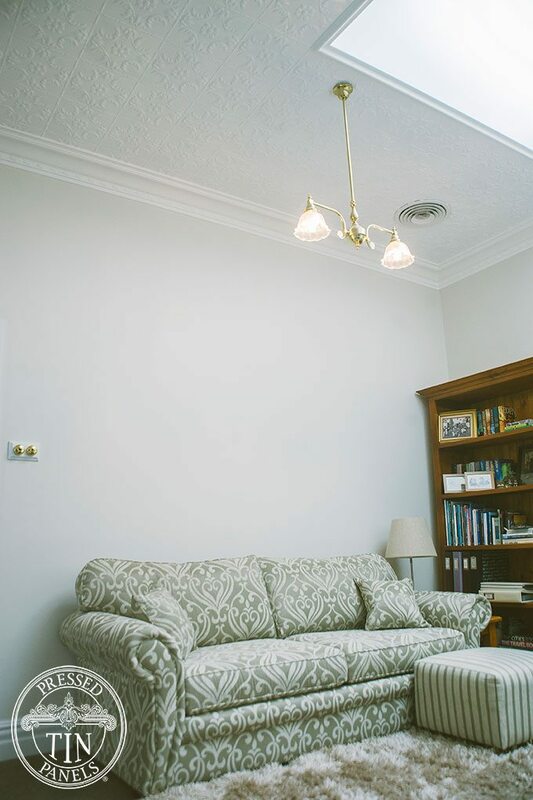 The Melbourne pattern features in this living room. 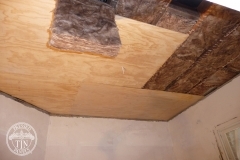 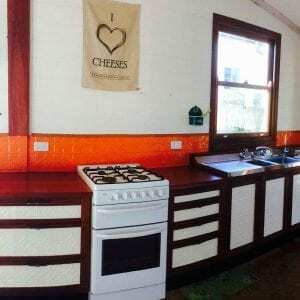 They installed it themselves which is a great effort – See the album for their before and progress photos. 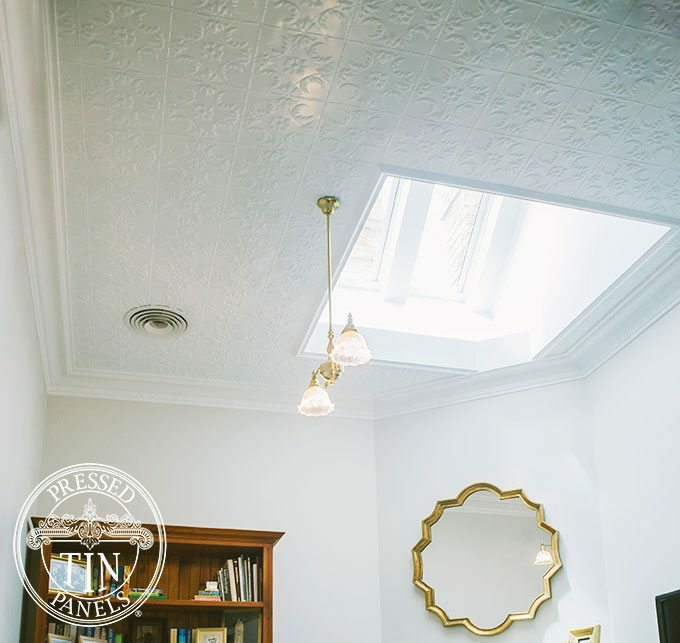 Image examples of the Melbourne pattern installed on this living room ceiling, including light well!